TruTeq started up after the tech crash in 2001. Realising the potential of GSM-based products, a number of ex-employees from one of the tech crash victims formed TruTeq. Unsuccessful at raising venture capital, we decided to self-finance and ride it out. All our operations and projects are now completely internally financed and we have no outside investors messing with the cashflow up or confusing the strategy. We focus on long-term customer value rather than today's share price. We have built up an extensive product range for GSM, CDMA, 3G, LTE and mobile banking and enjoy exports to over 25 mobile network operators and banks in 15 countries serving over 100 million customers. 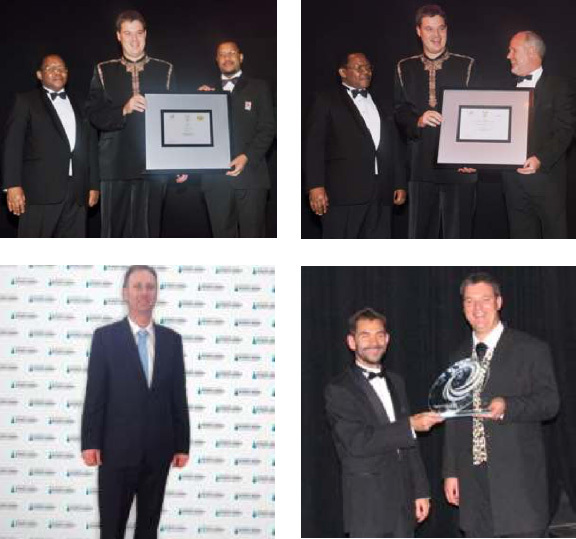 TruTeq is no stranger to awards ceremonies and over the years, our hard work has been recognised both in South Africa and Australia. Cellular technology has spread to every corner of the globe. The GSMA puts the total number of connections at almost 8 billion with average revenue per user at around $10. It is a truly staggering success story. We have been a member of the United Nations Global Compact since 2009. This allows us to put our business ethics into words and to publish the way we do business. We have many new exciting prospects and opportunities for the future. We will always be a few steps ahead and have a roadmap with many new products along with the old favourites. There is always room for improvement and we can't wait to improve!